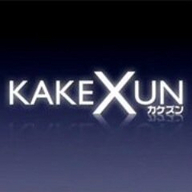 Along with the new partnership between MotionGallery and indigogo, we will start our crawdfunding project for the beta version of KAKEXUN in Japan and USA from September. With cross-border supporters, we will bring the game plan by Eno Kenji into reality and delivers to his fans around the world. Please come back to this update-page for updates. Stay tuned.